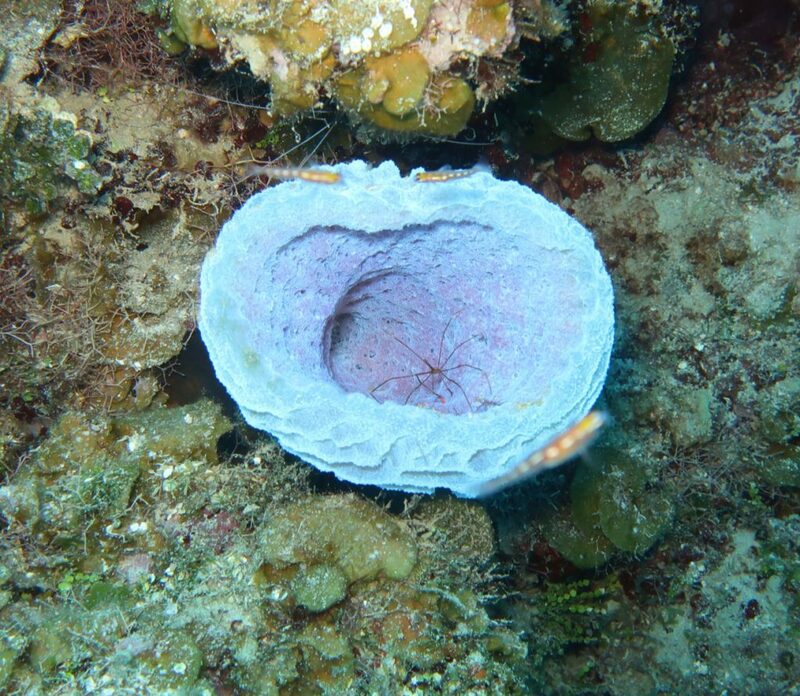 When diving, I enjoy peering into tube sponges and other hiding holes. I never know what I will find. Will it be a Decorator Crab? A Coral Banded Shrimp? A tiny Gobi? Or will it be empty? 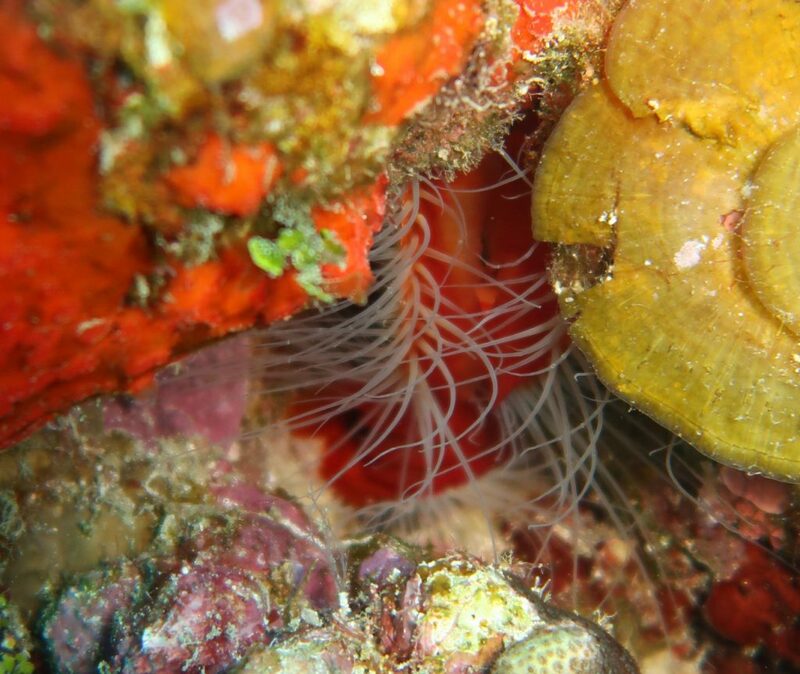 The tube sponges are mostly purple, but I find some that are golden orange. They provide a great background for taking pics of wildlife. 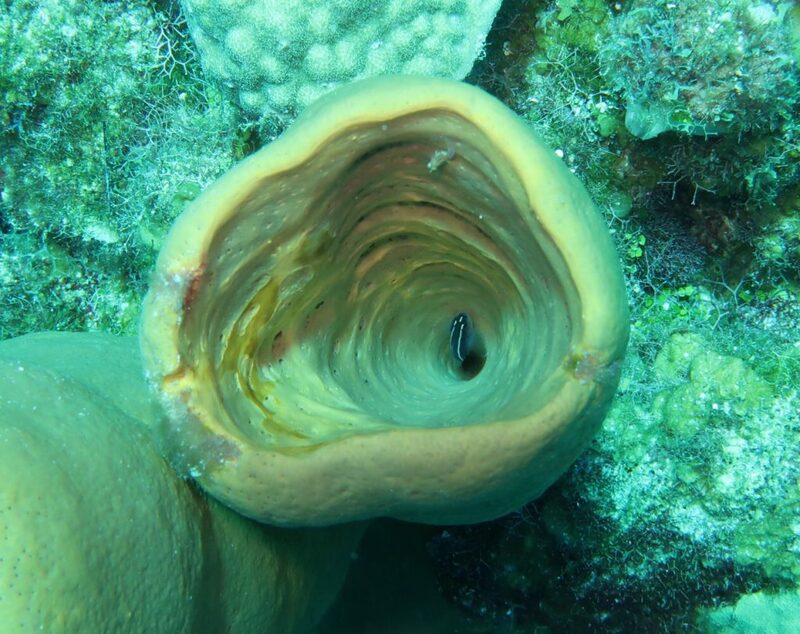 I also peek into holes in the coral and between rocks. This one held a File Clam, brilliant reddish orange body and light feathery fringe (highly technical word!). This was day three of diving and I am already looking forward to day four, so I can peer into more hiding holes.